Do you feel awkward when it comes to promoting yourself? What about when you have to put together a professional bio? What are you telling yourself about what to say and what not to say? If you are in a constant battle with sounding credible but not audacious, or experienced but not gloating, you will love this episode. 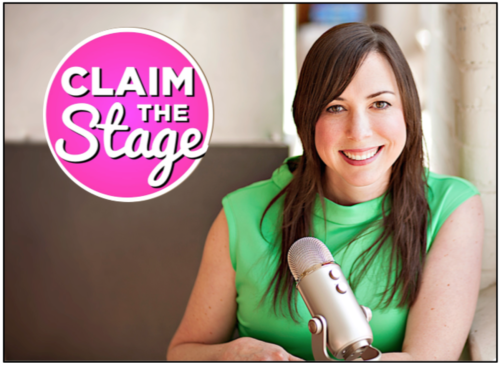 Today’s guest is Karen Catlin, an advocate for women in the tech industry. She’s a leadership coach, TEDx speaker, and co-author of Present! A Techie’s Guide to Public Speaking. Formerly, Karen was a VP at Adobe Systems. Today’s show is all about how to own your background and use it to your advantage to grow your speaking business. There was a time when Karen felt uncomfortable touting her 25 years of experience in the tech industry, but now she has figured out how to use it to her advantage as an independent coach and professional speaker. Get tangible tips and a new outlook on how to talk about yourself on today’s show and find more information about Karen at www.karencatlin.com or on Twitter: @kecatlin.